The term big refers, large or immense; and Data signifies raw information’s that when analyzed and processed provides idea and meaning to object or matter. Both these words when combined together provide a clear picture of big data that is large and can be in structured or unstructured form. Here structured denotes, data with high degree of organization, whereas unstructured refers to unorganized data that lack proper model. Explaining it further, it is easy to manage certain amount of data using traditional applications or tools, but to work with big data, new form of technology is required that helps to discover even the smallest hidden value. Hence, when you have to deal with petabytes and Exabyte of data (million and billion) called big data; traditional application fails to work. So, for accurate processing and analyzing; new and advanced technology that support this volume of data is required. Initially designing application that analyses big data was a great challenge for researchers and developers but now there are many software and applications that reads trillions of data within few second making it easy to discover useful meaning out of it. Hence, Big data is an important topic of discussion in IT, research, medical field, economics and business field. 1. Volume: Volume directly points toward size of the data. Hence, if data have large volume which comes from increased number of sensor, years of storage, unstructured streaming, it is called as big data. 2. Velocity: Velocity refers to speed of streaming; hence big data must be streamed in the fastest possible speed to meet the demand of all people. 3. Variety: Big data can be in variety of format including audio, video, text, email etc. Three of these points are the basic characteristics of big data also called 3Vs of big data. Along with these points, Variability and complexity is also considered an important characteristics of big data. 4. Variability: Big data flows in variable format sometime resulting in changeability of the data. 5. Complexity: Big data are usually complex to manage, so suitable application should be used to provide it to users on time. Though the use of big data seems only for companies and industry; but it is also used to monitor activity of an individual. For example: Using of pivotal tracker band that comfortably fits on the arm. This band have special sensor to timely check your daily activity (exercise, sleep, calories) and notify you. Hence, company will have big data of 50years and more, that includes every of your daily activity. Hence, they can analyze it and provide correct response to individual and take any action required for its modification. It is research that has bought development in every sector. Today we are able to have answer on most of the questions due to research. Earlier research was limited as per the availability of applications to analyze the obtained database; but big data has made it easy to discover even the slightest details of human body right from the cellular level and trace the function of the system. This is the reason that HGP has been initiated. HGP called human genome project was initiated to identify every gene in human. This research was expected to set a new milestone in human development by studying the condition of gene, possible threats for disease and treatment that can be implemented. Hence, big data was used for this purpose that included billion of genes for access and study. Moreover, when big data of human genome is made available, medical professionals can access it and conduct research on it to get the potential output that aim’s to treat number of diseases. In business world, when you have to launch any new product or if you want to improvise any product; firstly you need to get a good idea about the customer demand. If the business operates on small scale, or if it covers only particular areas of different nation; big data isn’t generally required. But if the business aim’s to become a multinational brand, they need big data for analysis. This big data can be analyzed to draw a transparent picture about customer demands, like, preferences, necessities etc. can be drawn if big data is available. Example of companies that uses big data are: Accenture, IBM, Microsoft etc. Most of the government agencies have big data that includes information of people within or outside the nation. It is used to monitor activities of criminals and their crimes, any illegal activity going within or outside the nation, find information about terrorist and many more. This is done with the motive of strengthening security and reducing crime rate. Imagine a situation; you are driving a car, and you suddenly see a heavy traffic? At that moment, you generally think that it would be better if I would have taken the other way. How would it be, if you receive notification or alert that there is heavy traffic in the road ahead? Or if there was an instrument to prevent this heavy traffic jam? Presently, it is no more a big issue. Sensors are employed at different places to relive from such situations and it produces big data of every second or minute of time that includes condition of road, weather, etc. Hence, such improvisation helps to bring development in nation. These are few uses of big data analysis. There are many more areas where big data is used for human benefit. 1. Error detection: Big data analytics helps to detect error within some second of time. Therefore, this leads to reduction of any complications or problems before their arrival. 2. Predicting events: It becomes easy to predict event using big data analytics that includes customer preferences and likes, susceptibility to disease, and many more. 3. Reduces time and effort: Spending lot of time to discover even the small piece of information gets reduced. When you have big data and software to analyze it, you need to put on less effort to get the clear picture of the subject that are looking on. 4. Increases efficiency and accuracy: Use of big data helps to maintain the accuracy of result. Since, detection and analysis of minor details is possible using big data; hence the meter of efficiency automatically rises up. 5. Progress of company: When data is obtained from large number of customers and this big data is used to analyze the slightest detail including customer preferences, choice for products, color etc. This helps company or firm to correctly figure out what customers demand. Until now, it is clear to us that big data is nothing but a scrap of information that is useless if not used. But presently, there are number of companies that have developed software to use big data to compete in the growing market. Beside this, these useful tools are also used in different fields to develop sense from big data specific to the finding. Though big data is used in almost all the fields; but some companies stand at the top position in the list. 1. HP: One of the top IT Company that sells number of products that includes hardware and software like printers, laptop, computer, scanner, networking devices etc. It has designed a software for analytics of big data named vertica. 2. Oracle: It is another leading supplier of software in the world. It offers its database, application product and tools for different services. 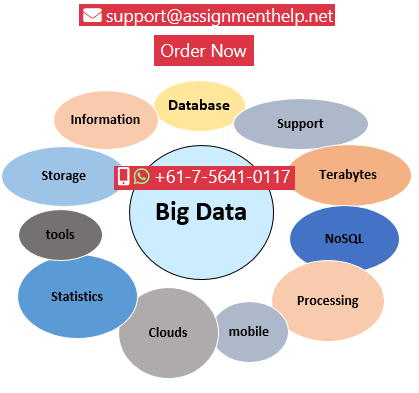 Some of its software and database includes: Apache hadoop, oracle NoSQL database and many more. 3. Microsoft: We are very familiar with the name Microsoft. One of the leading multinational company. The Big data solutions of Microsoft runs on Hadoop that can be used in windows or clouds. The three solutions offered by Microsoft that is based in HDP are: HDinsight on Microsoft Azure, HDP on window server and APS on PDW (parallel data warehouse). 4. Splunk: It is a multinational corporation in USA that searches, analyses and monitors data’s that are machine generated. Its product includes: Splunk storm (cloud based), Hunk etc. 5. Amazon: Amazon uses big data to provide best service to its customer. Along with this, amazon also uses big data to track, monitor and protect its huge collection of items. Hence, it support most popular tools like hadoop, pig, hive etc. 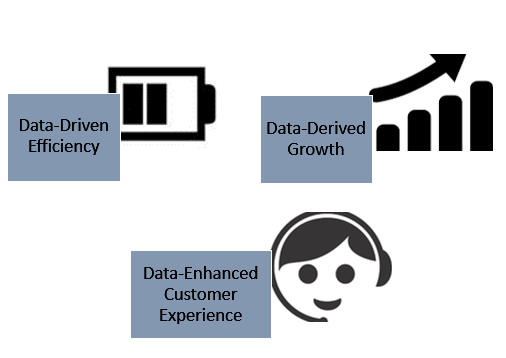 These are the few popular companies that uses big data to fulfill customer requirements and accomplish their goal.